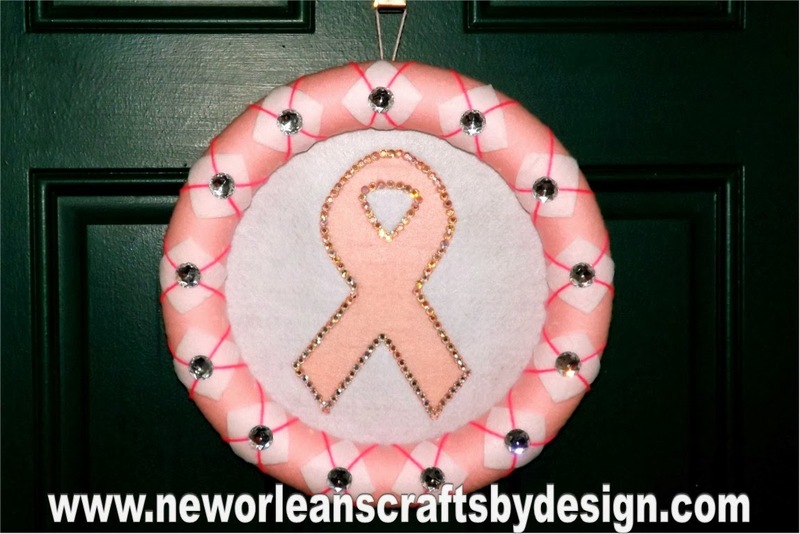 Here is another design I have made for Breast Cancer Awareness. I wrapped a 14" styrofoam wreath form with light pink yarn. I cut diamond shapes out of white felt and attached to the wreath to give it the argyle look. I used a darker pink yarn accent. On each of the diamonds, I attached a large acrylic rhinestone. For the center I cut out a large piece of white felt and securely attached it to the back of the wreath form. 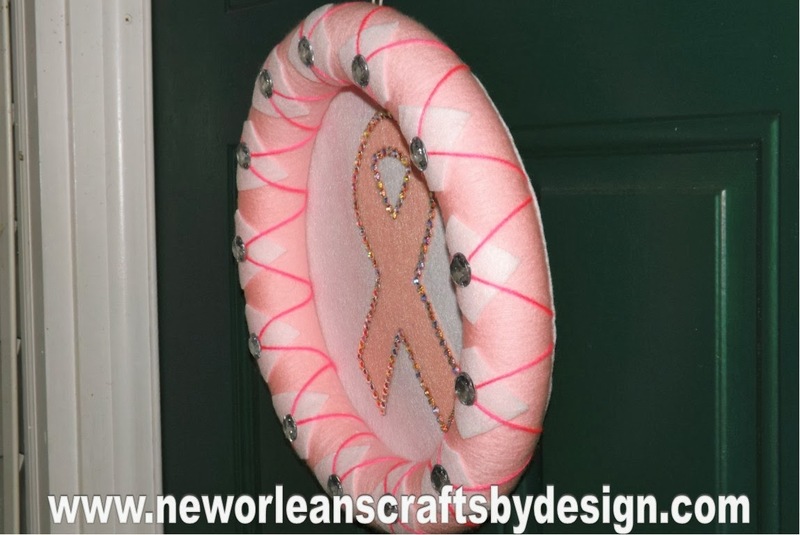 I cut the ribbon out of pink felt and used heat bond to attach it to the wreath. 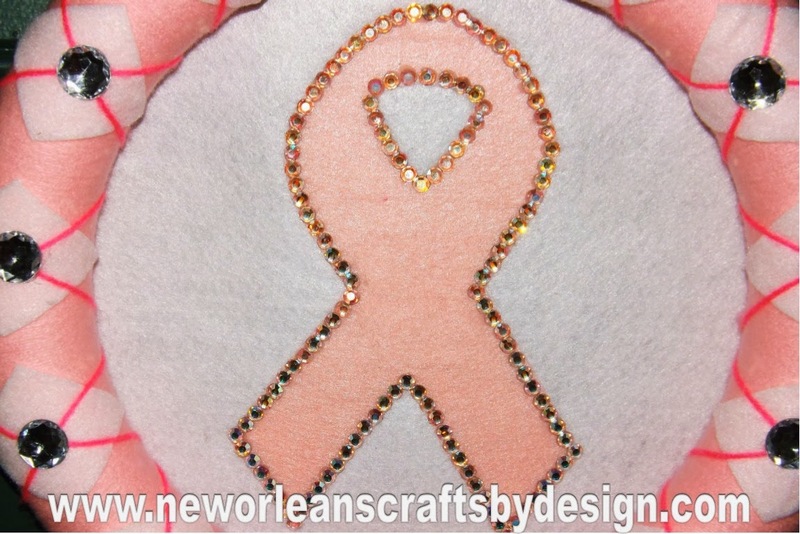 The ribbon is outlined with Swarovski Crystal Rhinestones. Most everyone knows someone that has been affected by Breast Cancer. 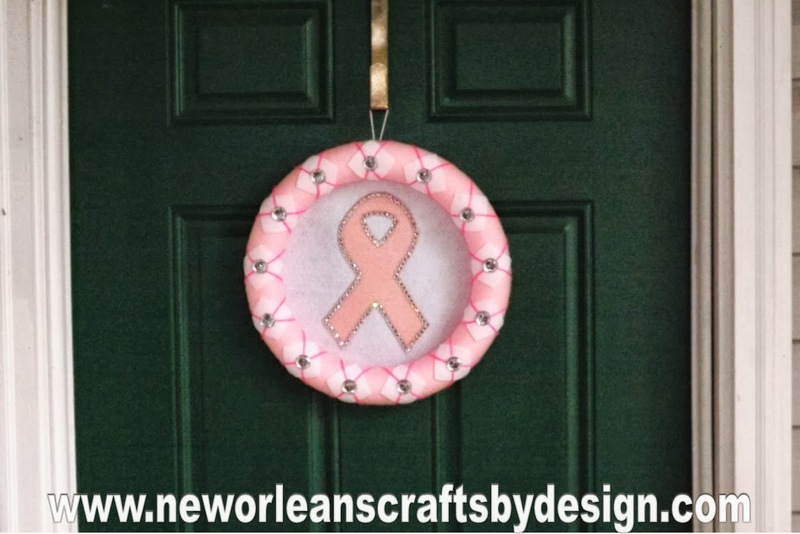 Show you support with this beautiful wreath.